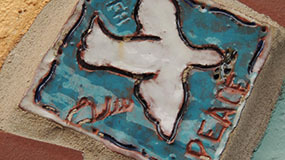 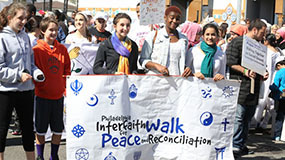 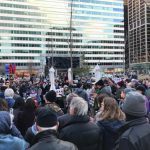 Al-Aqsa has been host to the Interfaith Peacewalk for the past 15 years; it has evolved to include Buddhists, Sikhs, Hindus, Baha’i, secular humanists, and others who share the values of peace and justice. 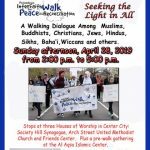 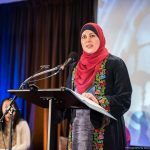 Al-Aqsa Islamic Society is partnered with many community groups and organizations throughout the area including programs for the arts, interfaith, community improvement, social services, peace walks and more. 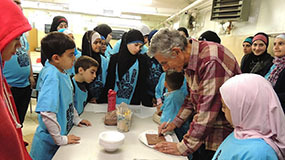 The Al-Aqsa Youth Club is a great opportunity for young Muslims ages 7-16 years old to build strong character, explore their creativity, and discover ways that they can help their community.